The Wind in the Willows is a children's story that lives in the hearts and minds of its readers well into adulthood. With its subtle blend of anthropomorphism and very-British humor, the book is a classic tale of river life and friendship. The Wind in the Willows is surprisingly dark and thrilling in places--particularly in the later chapters and the battle of Toad Hall. The book provides something that few novels of its time can claim: all-round entertainment for all ages. The story confirms the power of close friends and courage to make a difference in the lives of others. The novel begins with Mole, a peace-loving little animal, doing some spring cleaning. He soon meets another of the people who live by the river, Ratty, who enjoys nothing more than "messing about in boats." After a number of pleasant afternoons having picnics and spending time on the river, Mole and Ratty decide to visit one of Ratty's friends, Toad who--when they arrive--explains to them his latest obsession, a horse, and cart. They go for a ride with Toad, but whilst on the road, they are tipped over by a speeding motorcar (which completely breaks Toad's little cart). Far from being upset by the loss of his favorite toy, Toad's first thought is that he, too, wants one of those incredible automobiles. This obsession leads him to trouble, however. Much to Mole, Ratty and their old and wise friend Badger's sadness, Toad is soon arrested and sent to prison for stealing a motor car. However, within the gaol, one of the guard's daughters soon feels sorry for the poor Toad (who certainly wasn't made for prison life), and gives him some old washerwoman’s clothes and helps him to escape. Toad returns to the river and is welcomed by his friends, who tell him that his home, Toad Hall--once his pride and joy--has been overtaken by the cruel woodlanders: the stoats and the weasels. Some hope does seem to be in sight. Badger tells Toad that there is a secret tunnel leading back into the very heart of Toad Hall and the four friends follow it, leading them right into the lair of their enemies. An enormous battle ensues and Badger, Mole, Ratty and Toad manage to rid the hall of stoats and weasels, placing Toad back where he belongs. 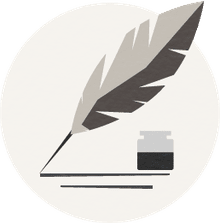 The rest of the book suggests that the four friends will continue in their easy-going lifestyle, occasionally taking trips on the river and eating picnics. Toad manages to curb his obsessive behavior, somewhat, but cannot completely cure himself. The true joy of The Wind in the Willows is the image of English life: a very Georgian, upper-middle-class take on the world in which the countryside is covered by an incessant summer time and which days can be spent idling by the riverside and watching the world go by. 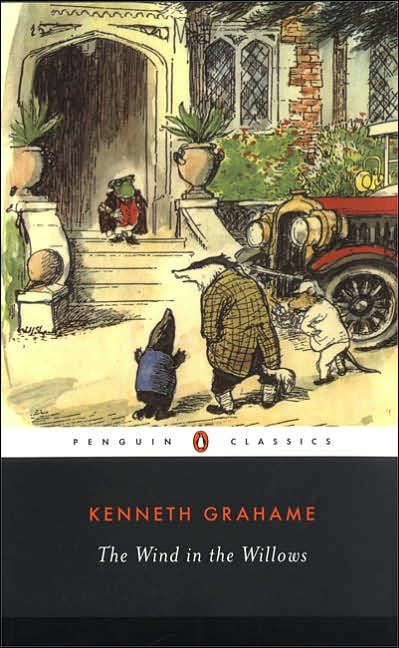 Because of the success of The Wind in the Willows, Kenneth Grahame was able to leave his unhappy job in a bank and live very much the life he represented in the pages of the book--a life full of cake at tea time, and the soothing sound of the river running past. The novel is also very much loved for its characters: the slightly pompous and ridiculous toad (who is completely carried away by his latest obsession), and the wise old badger (who is crotchety, but who has very high regard for his friends). They are characters who embody the English values of fortitude and good humor. But, these creatures are also incredibly honorable and willing to fight (even to the death) for their little piece of England. There is something ineffably comforting about Grahame's little story--familiar and also very powerful. The animal characters are completely humanized, but their personalities and characteristics are still linked to their animal's characters. The Wind in the Willows is wryly humorous and tremendously fun. This book is one of the greatest children's books of all time. What's 'Gone With the Wind' About?